One afternoon I was stuck with a fridge full of opened half-used packets, fresh prawns and an obscene amount of sauce bottles. I decided to clear and use as much as I could. What resulted was one of the most delicious if not unusual combinations of items that can be made in 15 minutes (or less!). 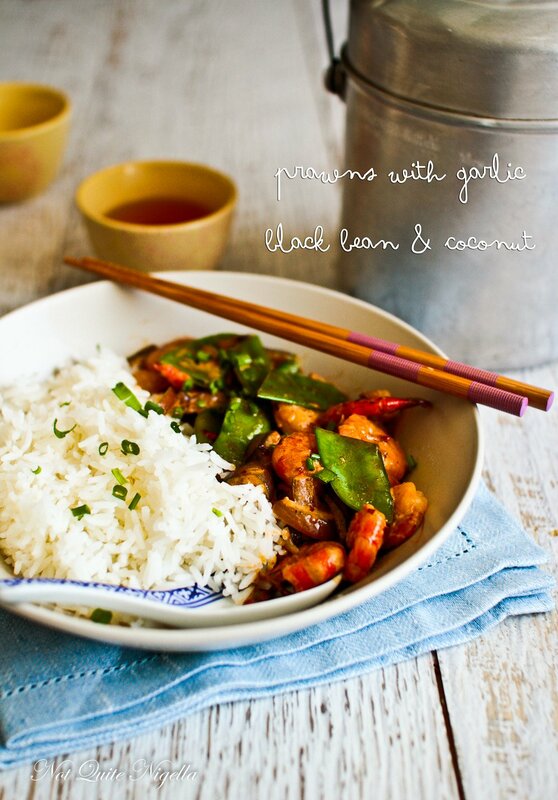 A creamy coconut and black bean and garlic sauce with succulent tiger prawns and coconut rice. Dear Reader, I have to tell you something: I am the queen of random questions. When I knew that my friend Elly (@maxbrennerswife) was coming over one afternoon to drop off some of my cake stands I sent her a message. 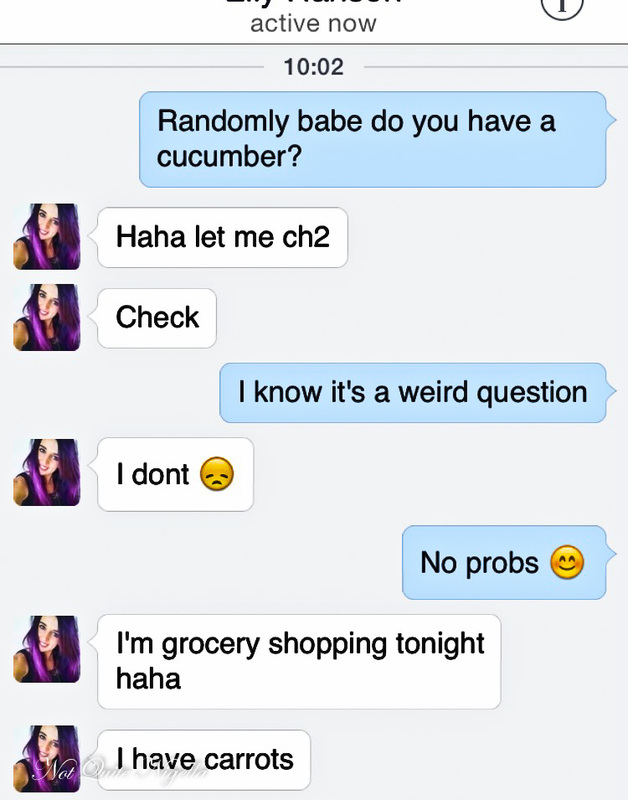 "Random question but do you have a cucumber?". I wish I could say that this is a one off question but I'm constantly asking strange questions of my friends. They know me so they roll with it. A few hours later Elly walked through the door with a cucumber and sniffed the air. "Oooh that smells good!" she said. I had just finished cooking some prawns and snow peas with rice for dinner. She peeked over and looked at the pan. It was just something that I had randomly put together. You see along with being the queen of random questions I am the queen of random combinations. I had leftover coconut cream from a huge litre pack that I had opened for this chocolate quinoa cake and I wanted to use it up. So I just cut up an onion, smashed some garlic, added some black bean sauce and some coconut cream to the mix. Curious, Elly tried some sauce and was smitten. So I gave her some of the black beans in a ziplock to take home and make into a curry. She's a good cook so I just had to tell her the very simple instructions and she went off to make it with the chicken breasts that she had bought. Later that night she messaged me, "Curry tastes ahmazing! Thank you!". As for Mr NQN he wolfed it down proclaiming that he wanted it the next day too. It reminded him of satay sauce although the main flavour was from the black bean sauce. This is another item that I had in the fridge and used only a bit of for something that I don't even remember and wanted to use more of. I hadn't actually intended to blog this dish because it was really something thrown together last minute but it was so in demand by him that I thought I should share it. "It tastes almost like a satay sauce," he said and it was true, there's something deliciously rich and moreish about it. Because sometimes the most random combinations work! So tell me Dear Reader, do you ever throw together random items together to make dinner? Is there a combo that has worked for you? Do you try and use up all of the items before the expiry date hits? Look for this guy lady on the bottle. I don't know who She is but he makes good sauce. ETA: apparently it is a famous and popular brand from China! Step 1 - I start the rice first as that takes longer than the prawns to cook. Then heat a frypan or wok on high heat and add the garlic and onion. 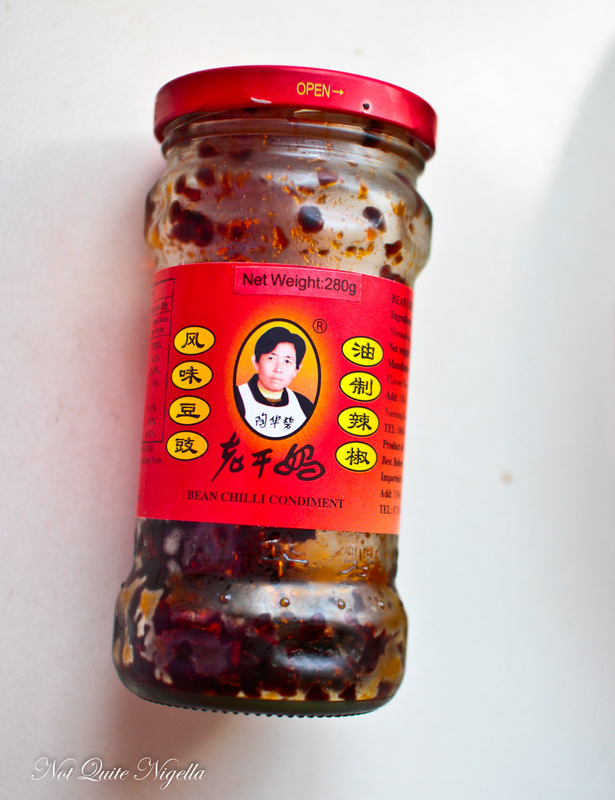 Stir fry for 1 minute and then add the black bean and chilli sauce and fry for 30 seconds. Step 2 - Add the prawns and stir constantly to evenly cook all over. Cook for 1 minute and then add the snow peas and coconut cream and cook until prawns turn orange (it doesn't take long). Serve with rice. recipeQuick Meals: Peking Duck Fried Rice! recipe Quick Meals: Peking Duck Fried Rice!